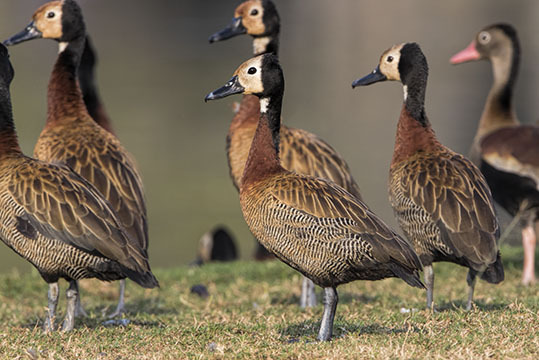 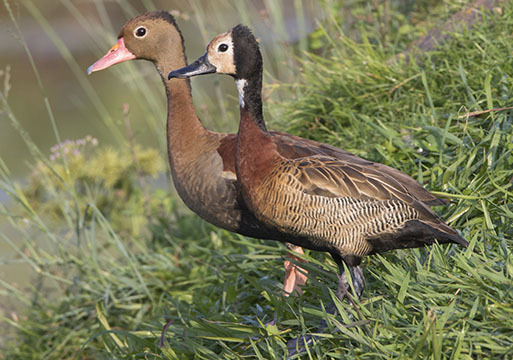 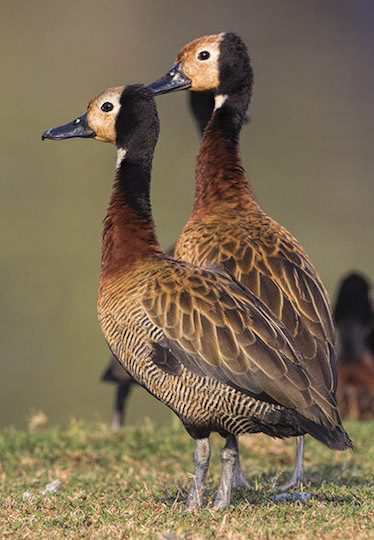 White-faced whistling-ducks have an unusual distribution, being found both in Latin America and in Africa. 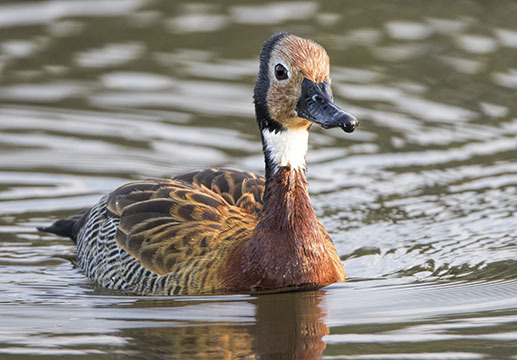 As their name implies, they have white faces (here, stained rusty) set against a black head, and make pleasant three-note whistling calls. 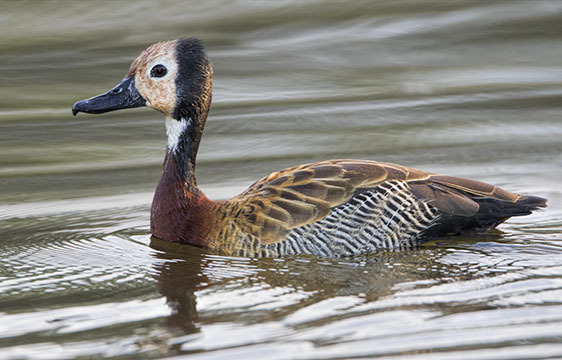 I photographed most of these in Cali, Colombia; some images also show black-bellied whistling-ducks. 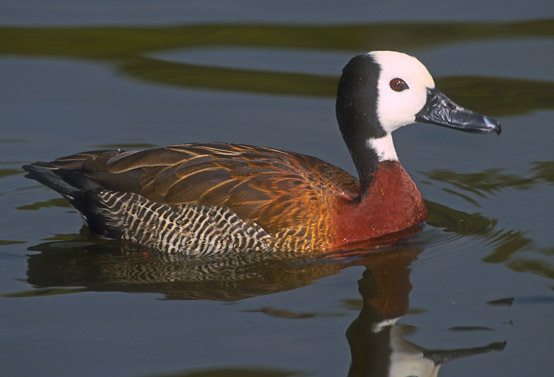 The bird with a clean white face is a captive, photographed back in the days of film.